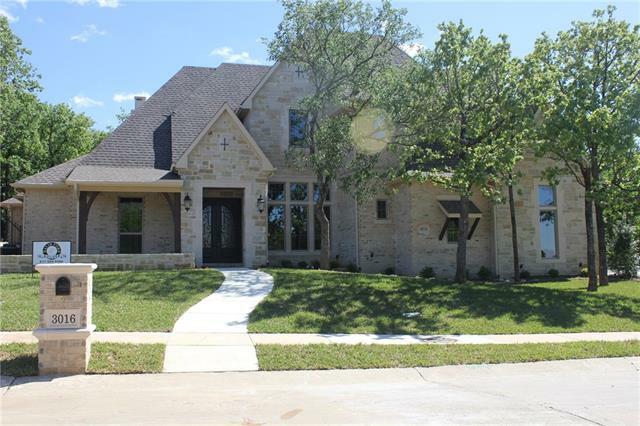 All Keller homes currently listed for sale in Keller as of 04/19/2019 are shown below. You can change the search criteria at any time by pressing the 'Change Search' button below. 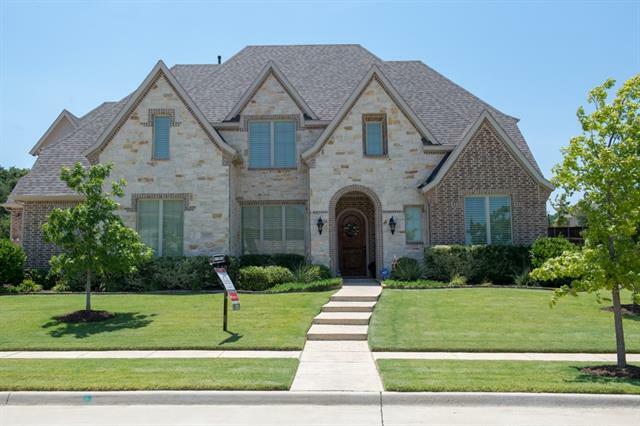 If you have any questions or you would like more information about any Keller homes for sale or other Keller real estate, please contact us and one of our knowledgeable Keller REALTORS® would be pleased to assist you. 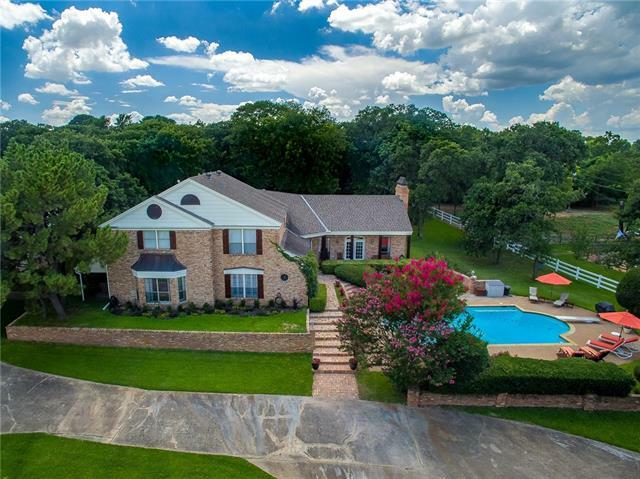 "The ultimate custom built one-story estate with one of a kind beauty in a secluded gated 10 lot neighborhood. 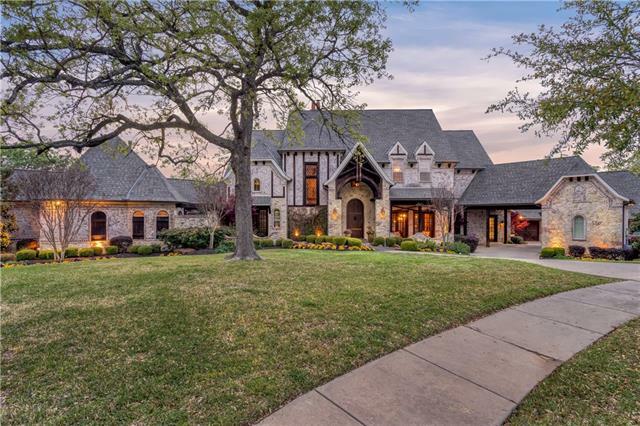 Located in North Keller on a .8 acre treed lot featuring a unique architectural design centered around an interior courtyard with a wood burning fireplace and glass paneled openings into the home. The chef style kitchen features Thermador appliances, a wine bar, a walnut serving bar, and Quartzite counters. The master bedroom is an expansive retreat with an oversized bathroom featuring"
"7.2 acres agricultural exempt acreage in Keller. 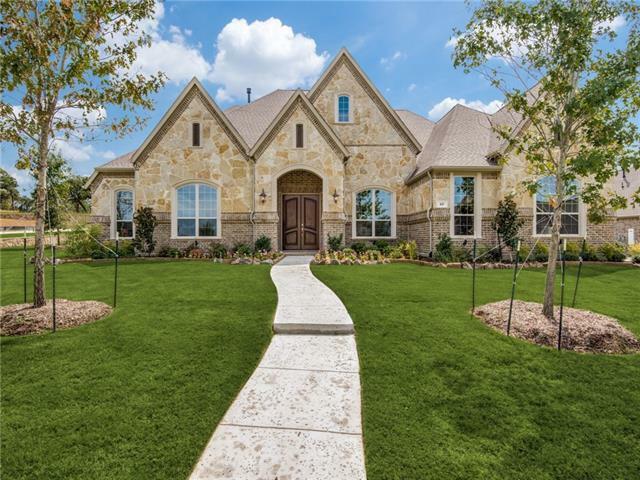 Premium area right in the heart of Keller. Build your dream estate or subdivide. Multi-million dollar properties surrounding this acreage. Multi parcel Peck, Thomas Survey Abstract 1209 Tract 1A02C, Peck; Thomas Survey Abstract 1209 Tract 1 F Homestead; Peck, Thomas Survey Abstract 1209 Tract 1F Less Homestead"
"Estate home with fabulous floor plan. Open & spacious living area featuring vaulted ceilings. Gourmet kitchen with large island, SS appliances, gas cook-top, walk in pantry. Hardwood flooring throughout. Media Room, Master Suite, Guest Suite down. Master retreat fireplace, seating area & luxurious bath with walk-in closet. Upstairs 3 bedrooms, 3.1 baths, Game room with balcony, built in desk, and built ins, & Exercise room. Home has a Safe Room! Outdoor living with built in grill, fireplace, cov"
"Stunning English country estate nestled into heavily wooded cul de sac homesite in the prestigious development of The Manors at Waterford. Crafted by renowned female luxury home builder-designer with incredible attention to detail with absolutely the best floorplan. 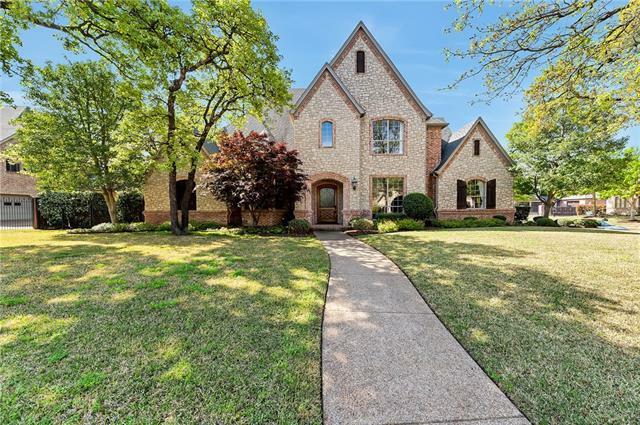 Covered verandas and outdoor living areas accented by brick floors, stone fireplace & outdoor kitchen all looking into the sparkling pool with rock waterfalls will bring great summer play. Imagine a private master suite with an i"
"Home for the ATHLETE AND ENTERTAINER, complete with SAUNA and GYM, GOURMET KITCHEN, OUTDOOR ENTERTAINING SPACE, with GREENHOUSE, DIVING POOL, AND SERENE LANDSCAPING. UPGRADES GALORE including: two quartz islands, subzero refrigerator, a Wolf gas range and more! 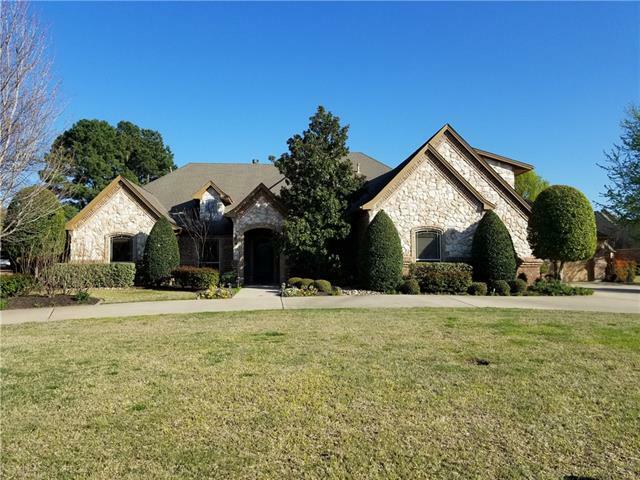 Home has 5 fireplaces, 5 bedrooms ALL with full en suite baths, 2 half baths, 2 game rooms, and Media Room featuring a 4k 3D Theater experience! Rounding out the home is an executive study with French doors leading outdoors and the privat"
"Beautiful Mediterranean home situated on a private 1+ acre lot! This almost new home features an ideal layout- downstairs find not only the master and guest suites, a work out room (could be a nursery, 2nd study, etc), study with rich wood built-ins and pocket door w-access to the front porch, the game room-media room w-access to the outside living center, and the beautiful open kitchen, family, and breakfast nook. The kitchen boasts stunning tiles, 2 pantries and a prep area. Off the kitchen fi"
"Picturesque, secluded property nestled on almost 3 acres of land perfect for the ultimate entertainer! 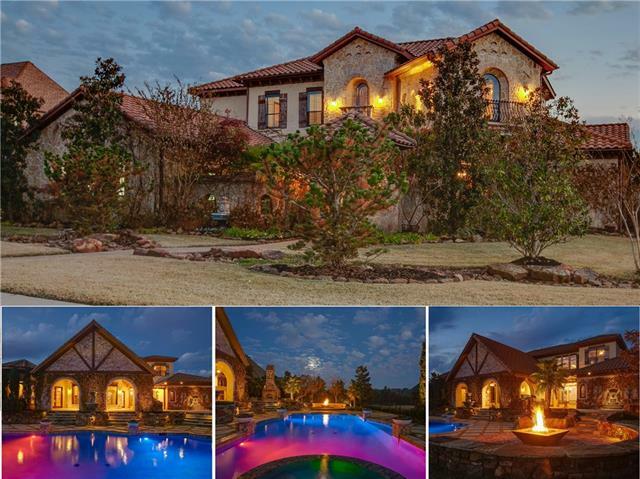 The home offers a perfect-sunset view from your captivating pool area designed with flagstone decking surrounding the pool, 14 person hot tub, a beautiful waterfall, three-hole putting green, outdoor fireplace and grill. The focal point is the custom designed pool cabana with it's unique combination of styles leading to the underground wine cellar. 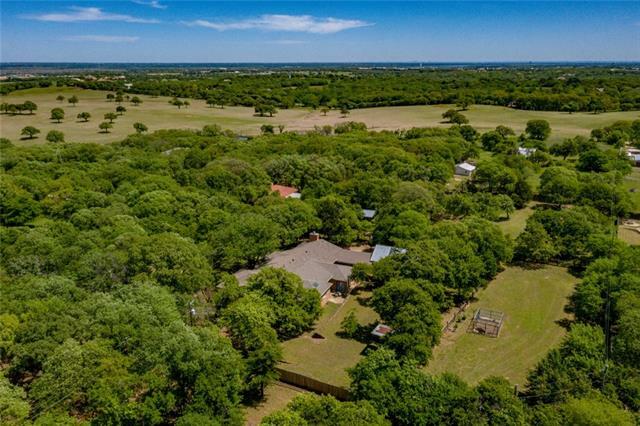 Inside the home you will take notice to the or"
"Magnificent estate property sited on a lush six acres of rolling pastures with premier horse facilities and extensive cross-fencing. This custom home boasts a functional floor plan with 5513 sq ft of living space including 5 bedrooms and 5.1 baths, a spacious 800 sq ft apartment over garage with balcony. 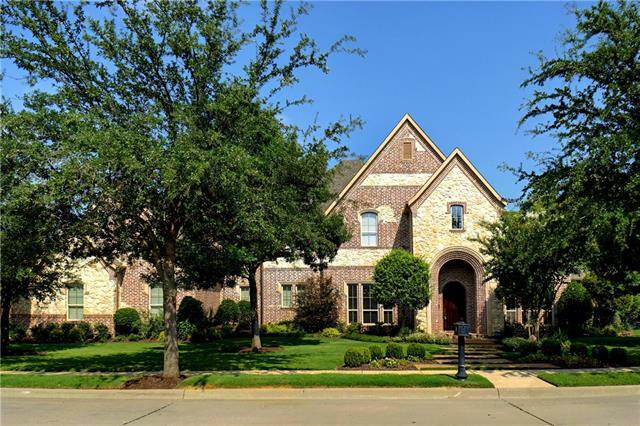 Exquisite detailing prevails with rich hardwoods, plantation shutters, gracious windows, intricate trim, a plethora of granite, custom built-ins and a 3-car oversized garage with workbench. 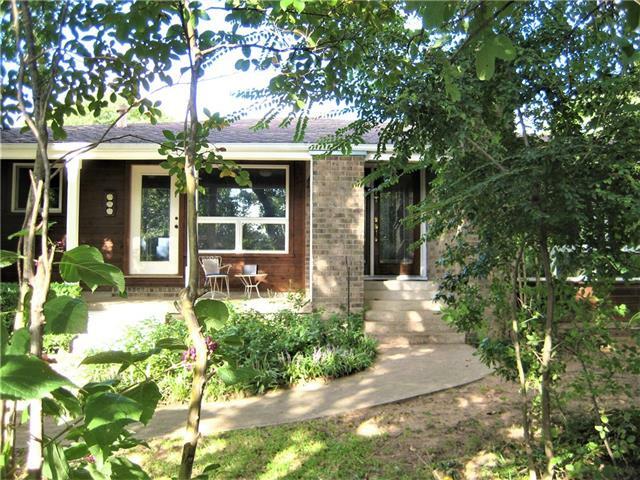 The "
"This is a family oriented home with a large gourmet kitchen and a walk-in pantry. The master bath has a spa setting with a free standing soaking tub whit a hand held spray and a separate shower with his and hers entries. It also has a rain head, shower head and a hand held spray. The closet is a walk-in with his and hers built-in chest of drawers. The covered patio has an Isokern wood burning fireplace and a outdoor kitchen including a grill, two burner cooktop, refrigerator and a large sink"
"Stunning Custom Estate showcases wood floors, decorative touches, new Class 4 roof & outdoor oasis. Backyard paradise with pool, spa and covered patio with BI grill & fireplace & 2nd living area with pizza oven, fireplace & blooming landscape! Gourmet kitchen has granite, KitchenAid SS appl with 6 burner gas cktop, expansive island & opens to dining areas with butler's pantry. Family room is complete with stone fireplace, BI cabinetry & backyard views through wall of windows. All guest rooms ha"
"Amazing Estate sale! Check out the gorgeous piece of land with a natural pond. This 5 acres has a wonderful vintage 1901 home which was upgraded and rebuilt in 2007. The mother in law suite is a perfect spot for the those guest that need a little privacy. It includes it's own full bath and kitchen. The Mother-in-law suite is included in measurements which is 1,032sq ft. House can connect to city sewer." 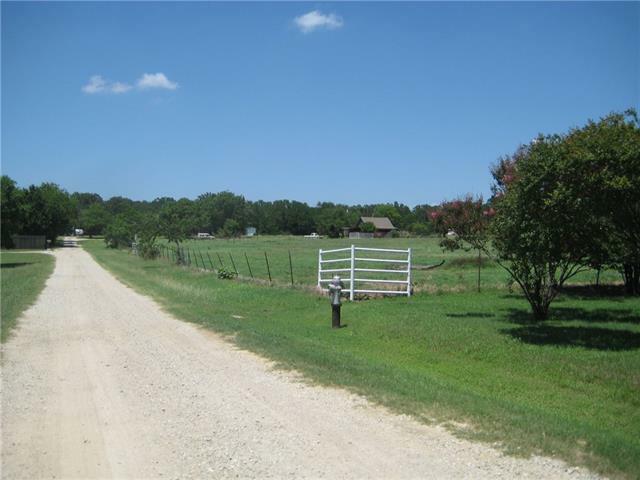 "COUNTRY LIVING AT ITS BEST in the heart of Keller. 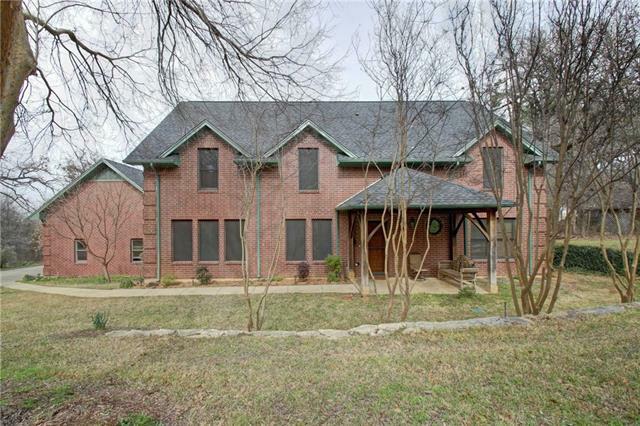 One owner, custom built family estate with open concept vaulted great room area. Unique wood plank and beam ceiling with raised paneled 2 story walls. 2 story stone fp. Charming kitchen with brick encased cook top, farmhouse beams, granite counter tops, stainless steel appliances & large breakfast area for the family to gather. 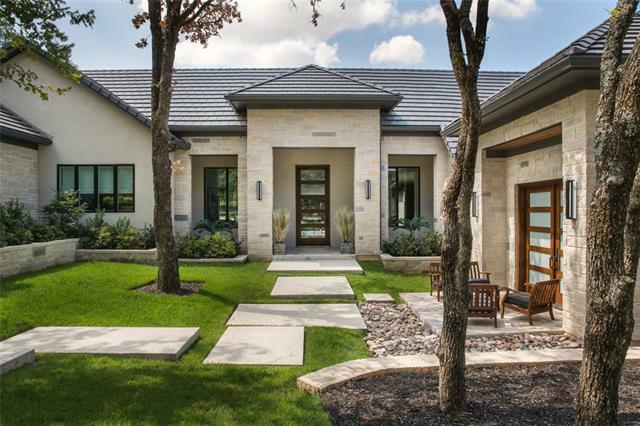 Sliding french doors lead to outside oasis featuring sparkling pool, spa, expansive decking. 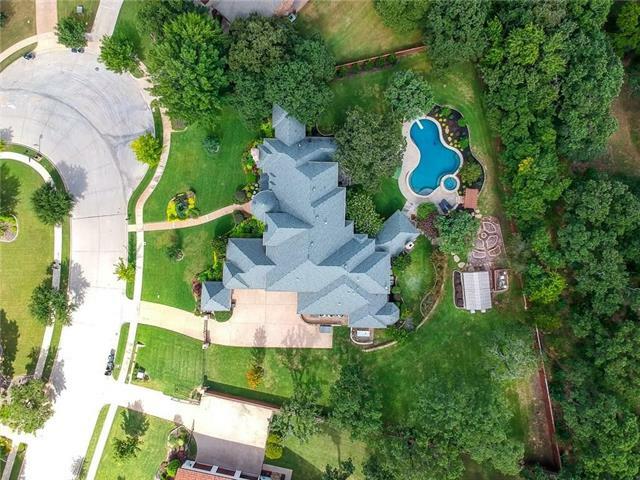 Awesome pool cabana or gu"
"Exclusive 4.15 acre hilltop property located in the most desired area of North Keller. 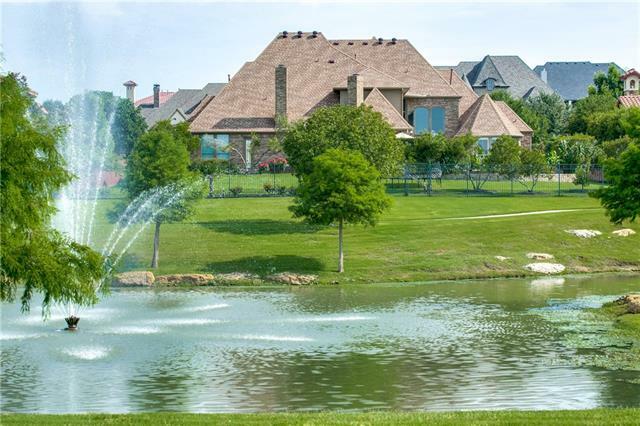 Surround yourself with the awesome feel of country living and the convenience of being close to shopping, business centers and DFW Airport. This is the perfect place to build your dream home, update existing home, or sub-divide into luxury building sites. The possibilities are endless and the opportunity is rare. Enjoy the panoramic view from one of Kellers highest elevations. This serene property is situat"
"This Magnificent Custom Estate with Mediterranean Influences is Situated on Arguably the Best Lot in Tuscany! Built by Alan Youngblood - No Expense Spared on Quality Materials and Finishes Creating an Authentic Tuscan Masterpiece. Gated Stone Entry Leads to Courtyard; Adds Privacy & Security. Unique Craftmanship Throughout. 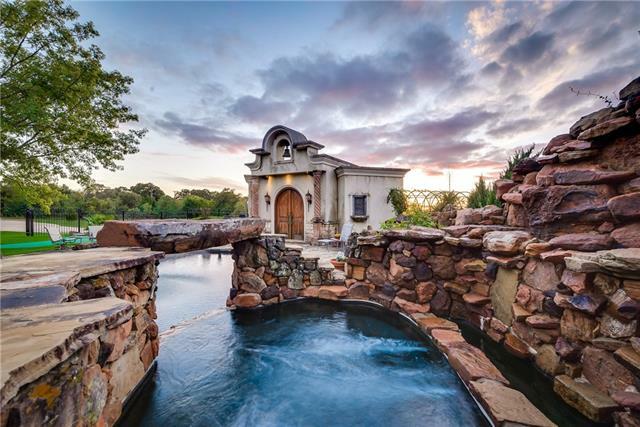 More than $250k Invested to Create This Breathtaking Backyard Oasis; 2 Stone Fireplaces, Firepit, Stunning John Caldwell Pool & Spa, Extensive Exterior Lighting and Outdoor K"
"Over 2 acres of heavily treed & lush landscaping on secluded estate nestled between the ultra desirable Westlake-Keller border. Single story ranch style home is truly a masterpiece! Impressively upgraded chef's kitchen w 6 burner gas stove, dbl oven, granite, lg island open to dining & living areas w bay windows overlooking your private outdoor scenery. Other renovations incl master bath oasis w marble counters, lg jetted tub, massive shower, his & her closets & french doors to access private co"
"Beautifully maintained & updated cust home located in exquisite Tuscany Keller!This home boasts tranquil setting with view of neighborhood lakes.Half acre lot offers the best of outdoor living,heated diving pool & spa,outdoor FP, wired for TV, plenty of play yard & gorgeous views. Prvt. gated drive way leads to 4 car garage parking! 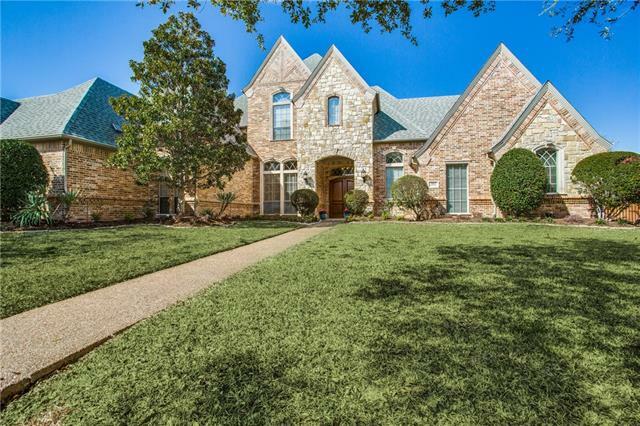 Home boasts recently refinished wood flooring leading into, study with FP & BI's, formal dining, & formal living w. FP & Wine cellar! Lrg. updated kitchen w. Dbl ov"
"YOU WILL LOVE COMING HOME TO THIS INCREDIBLE LUXURY HOME ON AN ALMOST ACRE CORNER LOT WITH POOL AND GUEST HOME IN BACK,EACH BEDROOM HAS THEIR OWN BATH,THE KITCHEN HAS DOUBLE GRANITE ISLANDS,JENNAIR GAS BURNERS AND GRILL,DOUBLE OVEN,WARMING DRAWER,BUILT IN FRIDGE,SEPARATE ICE MACHINE,WSHER,DRYER,2ND FRIDGE,UPRIGHT FRZER,LIVING ROOM 4K 70 INCH TV ALONG WITH SONY STEREO EQUIPMENT AND BOSE SURROUND SYSTEM STAYS, UPSTAIRS GAMEROOM,MASTER HAS LUXURIOUS BATH,COVERED PATIO AND BEAUTIFUL POOL HAS WALK IN"
"Located in the prestigious Oakmont Hills Addition, this magnificent estate offers a spacious floor plan, exquisite detailing and an entertaining backyard. With impressive windows playing off rustic hardwoods, the home is layered in refined luxury. Gracious rooms provide ample space for year-round entertaining. The two-story floor plan boasts 5008 square feet including a grand dining area, two living rooms, a chef's kitchen with breakfast nook, executive study, 4 bedrooms, 4.1 bathrooms, 2nd leve"
"Marvelous home in prestigious Oakmont Hills! 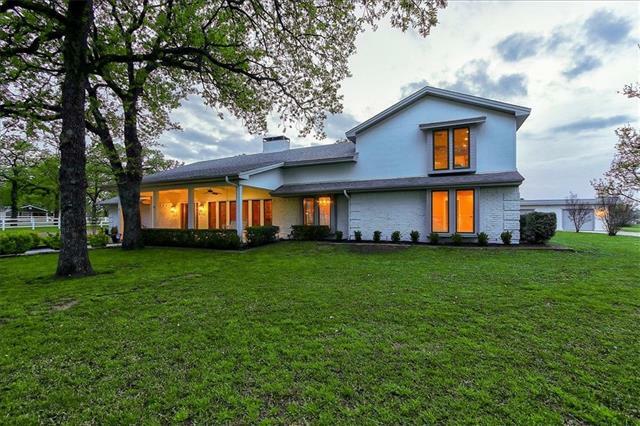 Dramatic entry has soaring ceilings, well appointed formal rms, gleaming wood floors, curved staircase. Kitchen has been remodeled to please any gourmet cook with new granite, commercial grade appliances - Wolf gas cook top, Wolf dble ovens which include a convection steam oven, built in ice-maker, built -in Frig, all overlooking a spacious family rm and breakfast rm. A butlers pantry with wine frig leads to the Formal Dining rm, while the Brkfst rm h"
"Come Sun 2-430PM. 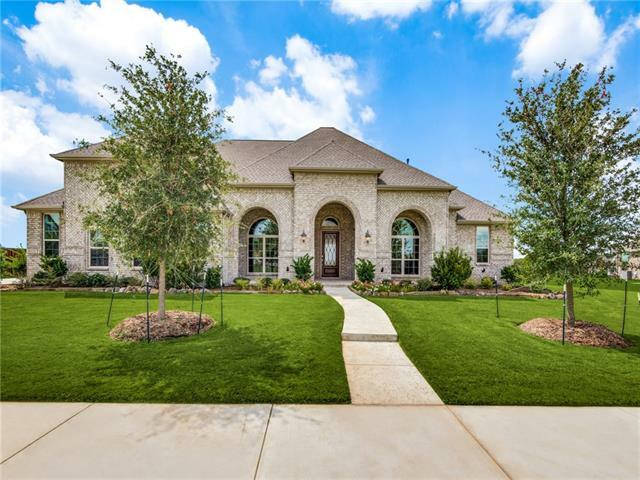 Your custom Waterford Classic Home in the exclusively gated community of Stonebridge welcomes you with hand scraped hardwoods, exotic granite, towering windows, multi landing stairwell, heated saltwater lap pool, master down with guest suite and so much more. 2 spacious en suite rooms upstairs with a stadium seating style theater and balcony to relax and overlook the pool. For entertaining, or with a home business, this lot is exceptional. 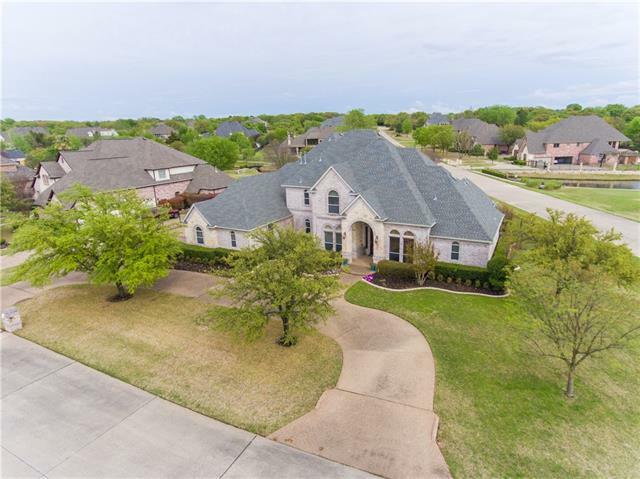 Exemplary schools, quick access to 114"
"This gorgeous K. Hovnanian Home, with multiple upgrades and a private resort-style backyard, is located in the highly desirable Bridgewood Estates of Keller. In addition to all the items listed above, this home boasts a Whole House Water Filtration System; Continuous Hot Water Heating system; Argon Gas double insulated Low E Windows; Plantation Shutters throughout; 40' Custom Pool and Spa; Outdoor Cooking and Living Area; Custom designed Kitchen with Wolfe Commercial Range; Christmas Lighting Pa"
"NEW NEXT GEN Home Within a Home by LENNAR Design! Open floor plan with soaring ceilings and LUXURY finishes throughout. Village Builders by LENNAR Main home has 3 bedroom & 3 full & 2 half bath with .82 acre lot, 4 car garage, study, gameroom, cov. patio & FP. The NEXT GEN suite has 1 bedroom, 1 bath, living area, kitchenette & laundry closet. Silestone counters; GE stainless appl. with built in gas range & electric double oven; recessed LED lighting; upgrade c-tile in all wet areas backsplash,"
"Village Builder by LENNAR. Beautiful design boasting all bedrooms and gameroom on one level. Decorative tile majority of home with upgraded carpet and padding. Hardwood in study and master bedroom. Master suite has bow window large enough for a sitting area and overlooks expansive back yard. Oversized shower in master bath and master closet connects to utility room. This home complete JUNE 2019!!" "Live in this 1 of a kind heavily treed Estate. A private home with pool sits on almost 2 acres. Genuine timber frame construction - 5 bedrooms. 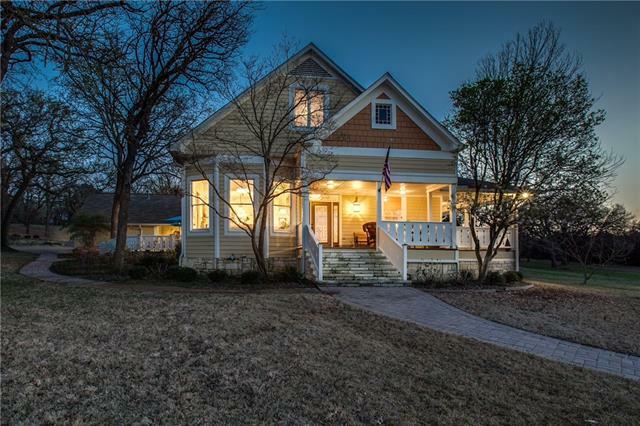 Open floorplan features recently remodeled kitchen & study with granite countertops. Premium all solid wood, Cherry & Maple cabinets. Spacious storage cabinetry. Oversized island with bar seating for 6. Large diving pool & brick patio area. Parking for up to 6 vehicles w: oversized 3 car attached garage, RV-Boat parking, 1 spot in garden shed. Natural g"